Price reduced as of April 19th! The Nordic 44 is a superb local or long distance cruiser. 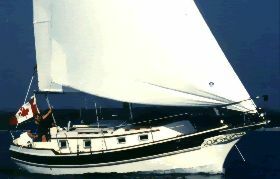 While her Robert H. Perry design is now 30-years-old, it remains excellent by balancing performance and comfort offshore. The bow and stern have moderate volume and overhang and her sail plan is powerful. 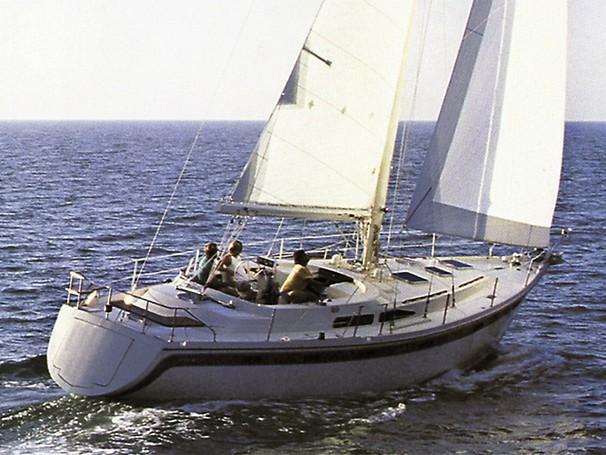 With a deep draft keel, windward performance is very strong. The deck tooling for this boat is impressive in detail with molded dorade boxes, recessed non-skid and genoa tracks, and raised hardware mounts. Strong and solid teak joinery is used throughout her interior with no use of structural fiberglass liners. NJORD'S FAVOR is the full package for Pacific Northwest cruising with Webasto Hydronic diesel heat, Frigoboat keel cooled refrigeration, Iversen dodger, dinghy davits, heavy duty windlass and lots of chain, newer Garmin sailing instruments and Raymarine autopilot. 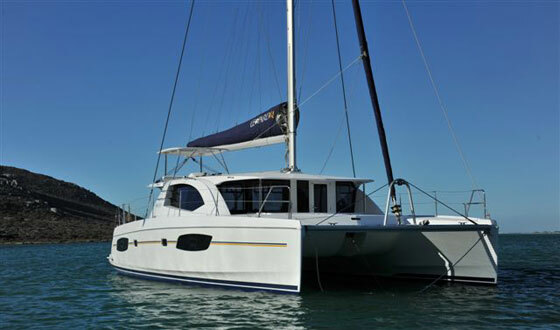 The Nordic 44's interior is well suited for local or offshore cruising with good sea berths, functional galley, excellent storage and a forward facing nav station. 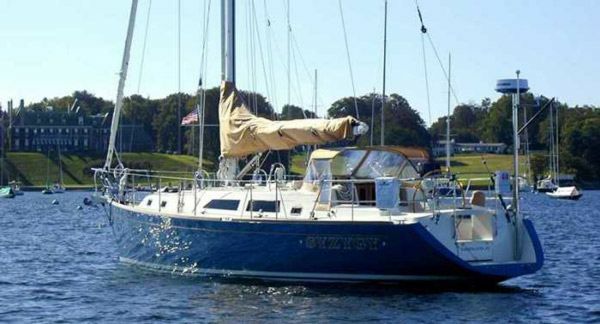 From the cockpit, one steps over the bridge deck, through the teak-trimmed companionway and down the four-step companionway ladder. The interior is teak with a teak and holly sole and fiberglass liners in the two heads. The overhead is off-white padded vinyl panels secured with teak battens that are easily removed for access to deck hardware and wiring. The forward private cabin features a large "V" berth 6'5" long and almost 6' wide. Shelves are located outboard below the deck edge. To port is a chest with three drawers. There are two lockers with shelves and hanging space on the starboard side. There is an overhead hatch and porthole to starboard for good ventilation. The forward head is next aft to port. There is a marine head and basin with cabinet below. The sink is currently disconnected. It has been used more as a storage space than a second head by the current owners and there is storage for dive tanks on the aft bulkhead. The main salon features an L-shaped settee to port and straight settee to starboard which double as good single or sea berths. There are storage/book shelves outboard of both settees. The teak table can comfortably accommodate 6 people and also lowers to make into a berth, with a custom cushion. The stainless steel water tanks are located beneath the settees. The large "U" shaped galley is aft to port. The "Gourmet II by Princess" 3-burner propane stove with oven was new in 2014 and is protected by a stainless steel crash bar. Three storage cabinets are outboard along the port hull side below the sidedecks. There is storage below the stove as well as in a locker beside the double stainless steel sinks. Additional galley storage is below the sinks and in the four drawers to starboard of the Frigoboat keel cooled refrigerator/freezer. Opposite the galley on the starboard side is the forward-facing navigation station. The large top opening chart table has a 4" deep chart drawer and storage locker with shelves beneath. The aft stateroom is aft to port of the companionway. It features a large double berth with drawer storage. Opposite to starboard is the aft head, convenient for hanging wet foul weather gear before proceeding forward. It features a stainless steel sink and large separate shower stall. There are storage lockers with shelves outboard of the head and is an opening port above the toilet. The Nordic 44's hull is hand laid up solid fiberglass and features a fin keel and skeg hung rudder. There is 1/2" thick foam insulation on the inside of the hull which cuts down condensation and dampens noise. The deck has the original non-skid which is still functional however tired looking. Some Nordic owners have had the non-skid removed and instead painted the areas with non-skid paint as an alternative. 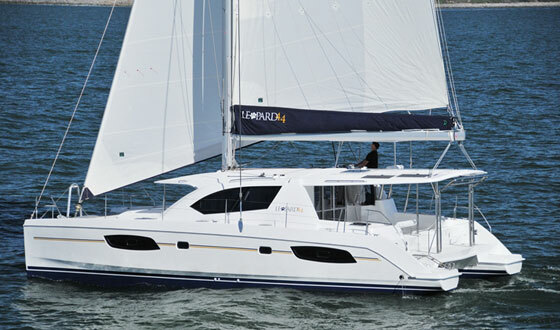 The Nordic 44 was designed as a fast cruiser/racer and is a quick passagemaker. The deep 7' draft and fine entry make her a strong performer to windward. 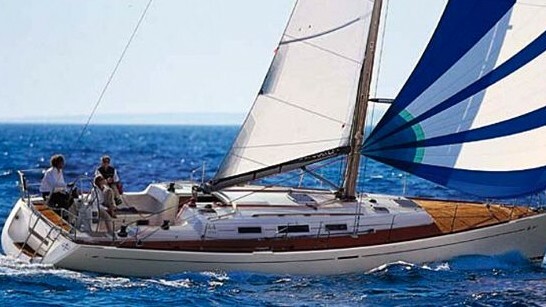 Sails – numerous sails including 5 spinnakers of various weights, a high roach Kevlar main and miscellaneous headsails. The previous owner was an avid racer and the extensive sail inventory has been stored in a garage over the years.